TOM Robertson and Tatafu Polota-Nau start in the front row for the opening game Bledisloe Cup against New Zealand Saturday night at the ANZ Stadium. Loosehead prop Robertson has just received his third test start after Scott Sio failed to overcome a shoulder injury. 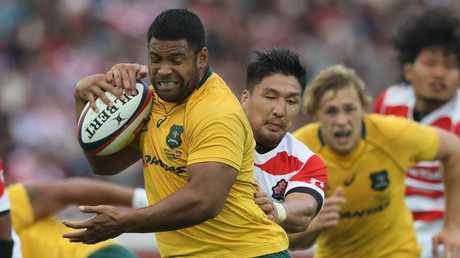 Wallabies coach Michael Cheika also chose to start the more experienced Polota-Nau over fellow hunter Tolu Latu, who is on the couch. Robertson and Polota-Nau will join Sekope Kepu in the first row, while Reece Hodge is mentioned outside as expected. Jack Maddocks is ready for his debut on the bench, while Pete Samu has won the fight against Ned Hanigan as a back-up flanker from the den. 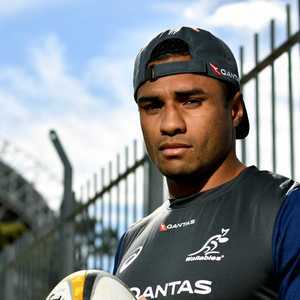 Sio & # 39; s injury is a big blow for Australia. However, Cheika clearly supports the line-out of Polota-Nau throwing pressure at the beginning of the game, with the All Blacks sure to kick to the sidelines and stack the pressure on that set piece. The Kiwis are also forced to make a late change to their shares on the first row after reserve Ofa Tuungafase was excluded with a rib injury. 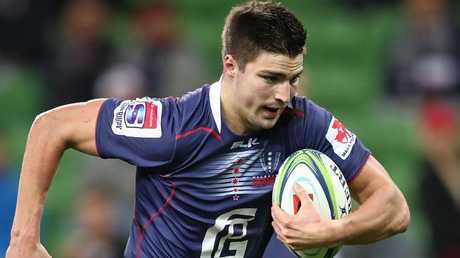 Crusaders backup Tim Perry was named after his test debut in his place on the bench. The All Blacks dropped Jordie Barrett out of the team and opted for Waisake Naholo on the wing and Ben Smith for the wing defender. Jack Goodhue is named after the center next to Ryan Crotty, with the title-winning crusaders proud nine of the 23-man squad for the visitors. Wallabies: 15. Israel Folau 14. Dane Haylett-Petty 13. Reece Hodge 12. Kurtley Beale 11. Marika Koroibete 10. Bernard Foley 9 Will Genia 8. David Pocock 7. Michael Hooper (captain) 6. Lukhan Tui 5. Adam Coleman 4. Izack Rodda 3. Sekope Kepu 2. Tatafu Polota-Nau 1. Tom Robertson. All the negroes: 15. Ben Smith 14. Waisake Naholo 13. Jack Goodhue 12. Ryan Crotty 11. Rieko Ioane 10. Beauden Barrett 9. Aaron Smith 8. Kieran Reading (capt) 7. Sam Cane 6. Liam Squire 5. Sam Whitelock 4. Brodie Retallick 3 Owen Franks 2. Codie Taylor 1. Joe Moody. Reserves: 16. Nathan Harris 17. Karl Tu & # 39; inukuafe 18. Ofa Tuungafasi 19. Scott Barrett 20. Ardie Savea 21. TJ Perenara 22. Damian McKenzie 23. Anton Lienert-Brown.